Sometimes, income comprises of both agricultural as well as non-agricultural income. Such a situation arises in case of certain ‘Agro based industries where agricultural produce is used as raw material and it (i.e., raw material) is produced by the same person (i.e., industrialist) who manufactures industrial product by using such raw material. Such industries (i.e., persons), earn income by selling the industrial product manufactured from self grown agricultural raw material. Mr. X is the owner of agricultural land in India and produces sugarcane by spending Rs. 2,00,000. Further, X set up an industrial undertaking to manufacture sugar from sugarcane so produced. Accordingly, he uses the whole quantity of sugarcane for producing sugar and spends Rs, 2,50,000 as industrial expenses. He ultimately sells the sugar so produced for Rs. 7,00,000. The above total income of Mr. X is the composite income comprising of agricultural income and non-agricultural income. The income attributable to agricultural operations (i.e., raising of sugarcane) is agricultural income and the income attributable to industrial operations (i.e., manufacturing sugar from sugarcane) is non-agricultural income. In such a situation, it becomes necessary to disintegrate (bifurcate) the two incomes because agricultural income is exempt from tax and non-agricultural income is taxable. Rules 7, 7A, 7B and 8 of Income Tax Rules, 1962 provide the method of segregating the two incomes. 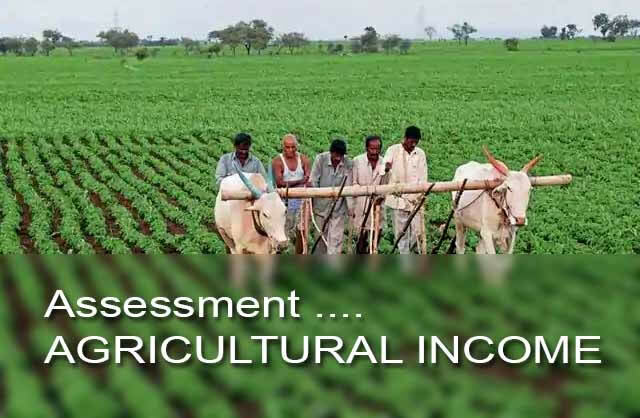 These rules deal with calculation of agricultural income and non-agricultural income in such cases of composite income. An assessee may have composite business income which is partially agricultural and partially non-agricultural, for example, where XYZ Ltd. grows potatoes and further processes its produce to sell them as wafers. In this case the company has composite income i.e. from agriculture and from business. The composite income has to be disintegrated and for computing business income the market value of any agricultural produce raised by the assessee or received by him as rent in kind and utilised as raw material in his business is deducted. No further deduction is permissible in respect of any expenditure incurred by the assessee as a cultivator or receiver of rent in kind. For computing agricultural income the market value of agricultural produce will be total agricultural receipt on account of potatoes. From such agricultural receipts, expenses such as cultivation expenses etc. 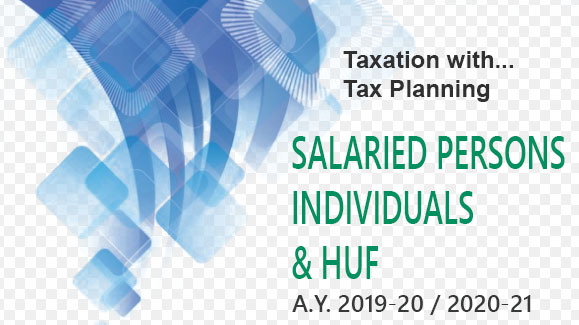 incurred in connection with such receipt will be deducted and balance will be agricultural income which will be exempt. For example, in the above case, if the market value of the potatoes grown by the company, which have been used for the purpose of making its own wafers, is Rs. 5 lakhs and the cost of cultivation of such potatoes is Rs. 4 lakhs, the agricultural income shall be Rs. 1 lakh (5 lakhs - 4 lakhs). This agricultural income of Rs. 1 lakh shall be exempt. Further for the purpose of computing business income from the sale of wafers produced from such potatoes, the company shall be allowed deduction of `5 lakhs as the cost of potatoes, being the market value of potatoes grown by it. Income derived from the sale of centrifuged latex or cenex or latex based crepes (such as pale latex crepe) or brown crepes (such as estate brown crepe, re-milled crepe, smoked blanket crepe or flat bark crepe) or technically specified block rubbers manufactured or processed from field latex or coagulum obtained from rubber plants grown by the seller in India shall be computed as if it were income derived from business, and 35% of such income shall be deemed to be income liable to tax. In computing such income, an allowance shall be made in respect of the cost of planting rubber plants in replacement of plants that have died or become permanently useless in an area already planted, if such area has not previously been abandoned, and for the purpose of determining such cost, no deduction shall be made in respect of the amount of any subsidy which, under the provisions of section 10(31), is not includible in the total income. Income derived from the sale of coffee grown and cured by the seller in India, shall be computed as if it were income derived from business, and 25% of such income shall be deemed to be income liable to tax. Income derived from the sale of coffee grown, cured, roasted and grounded by the seller in India, with or without mixing chicory or other flavouring ingredients shall be computed as if it were income derived from business, and 40% of such income shall be deemed to be income liable to tax. Step 1: Compute the income of growing as well as manufacturing tea under the head 'profits and gains of business or profession' after claiming the deductions available under that head. 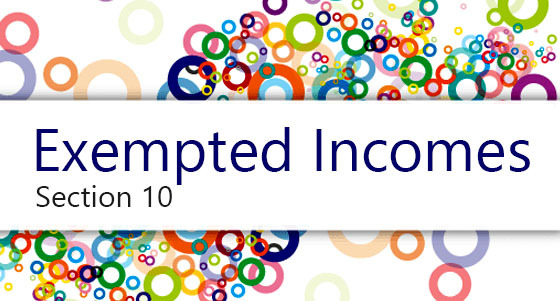 Step 2: 60% of the income computed in Step 1 will be treated as net agricultural income and 40% of such income, so arrived at, is treated as business income.